According to Gartner’s latest quarterly IT spending report, the worldwide market for public cloud services hit $91 billion in 2011 and is expected to increase by 19% to $109 billion in 2012. Ed Anderson, Gartner cloud forecaster further predicts cloud computing to grow by over 100% to be a $207 billion industry by 2016. In comparison the overall global IT market is forecast to grow at just 3%. The enormity of the challenge this poses to legacy hardware and software vendors is yet to be known, all we know for sure is that these vendors are going to have to innovate fast to stay in the game. In an earlier report, Gartner revealed that cloud computing would create 14 million worldwide jobs - fuelling the cloud phenomenon and sparking new interest from multinational enterprises. Anderson further predicts that the cloud will create new IT spending opportunities in the long term. Areas expected to grow with substance are: integration, customization, hybrid cloud and on-premise cloud installations. The European Commission wants cloud computing firms to improve contracts they offer customers in a drive aimed at averting costly legal disputes, allaying privacy concerns and boosting an industry which can offer huge savings to users. Buying computer hardware can be a drain for new and small companies, and huge savings can be made adopting 'cloud' storage -- using networks to connect remotely to servers elsewhere, possibly in a different continent. But security and data privacy is a major concern, the EC said in a policy paper intended to encourage the technology. Once again, IT is going away or becoming less important or being relegated to nonstrategic support responsibilities or something. We've heard this tune for decades. It might really happen this time, though -- a consequence not of the cloud or BYOD or any of the usual suspects, but of so many companies being seriously sick. It's probably true that CIOs have to take IT to the next level or have it fall to a lower one. What is the next level? To recap from last week's Advice Line on the subject, next-gen IT collaborates, widely and deeply, with everyone else in the enterprise. That, in turn, can't happen without a company that (1) does something that matters, (2) has executives, managers, and employees who are committed to making it happen, and (3) has enough mutual trust throughout that whoever needs to collaborate right now can do so without any concerns about the political consequences. 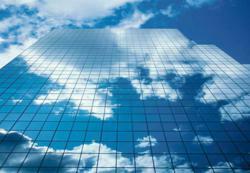 Will the cloud push business intelligence and analytics to a whole new level? Since cloud-based services can support massive amounts of data and provide it in a consistent manner across enterprises, there’s reason to believe that even the most technology-averse organizations will have a way to compete on analytics, just as the big players do. Cloud computing has generated significant hype in Africa. But with IT vendors pushing the technology case, few companies have taken the time to look at the value it can offer from a business perspective, says Frank Rizzo, partner in Advisory at KPMG.